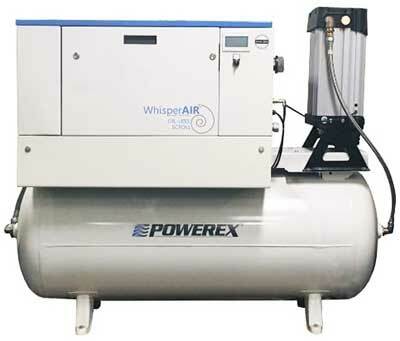 Powerex Air Compressors and Vacuum Systems are the industry leader for delivering "pure air" for a wide range of applications. Powerex continues its commitment to design and manufacture compressors and compressor systems delivering your "pure air" requirements year after year. This world class technology has resulted from the combined engineering and production efforts of two of the largest compressor manufactures in the world, creating a new breed of oilless and lubricated compressor and vacuum systems: both affordable and reliable! PowerexSales.com is your complete source for Powerex Compressors! Our knowledgeable sales staff is here to help you find the right Powerex Compressor to fit the job and at the right price to fit your budget. Contact us today at 727-835-0662 or Toll Free 800-761-4298. We are pleased to announce that Poxerex has updated their 2-5 HP Open Scroll Medical & Laboratory Systems to combine their reliable, energy efficient technology with new improvements to save space and provide ease-of-maintenance. The newly redesigned and upgraded space-saving scroll compressors feature the smallest available footprint on the market, allowing for flexibility of hospital design and ease of installation. 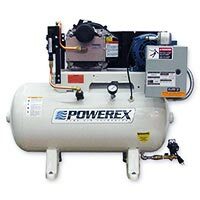 Beginning with their own line of air compressors, Powerex has been designing and packaging systems since 1988. 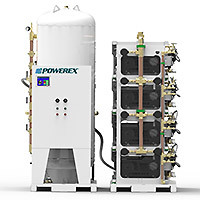 Powerex has built a foundation on engineering, innovation, quality, and service to become a leader in vacuum and air systems…"the leader in pure air technology". Powerex is committed to providing the best value in the markets we serve by applying these pillars of our foundation into every system that we build. 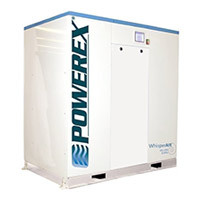 The Powerex product line up is energy efficient and easy to maintain. Their industrial air and vacuum systems have been designed and tested to meet the most demanding specifications for low oil carryover and long life. 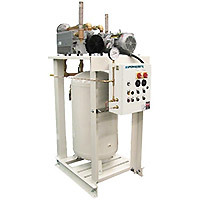 Powerex compressors provide clean, dry air for industrial applications where the quality of the compressed air is critical. Manufacturers Distributor, Inc. is proud to represent the outstanding line of Powerex industrial oilless air compressors, lubricated air compressors, enclosed oilless scroll compressors, open oilless scroll compressors, and rotary vane vacuum compressors. Whether its a complete Powerex system or just a bare pump that you need, mdi is your complete source for Powerex products. Call us TODAY at 727-835-0662 or Toll Free 800-761-4298. Contact our experienced sales staff who will gladly assist you with selecting the best vacuum pumps to fulfill your requirements.